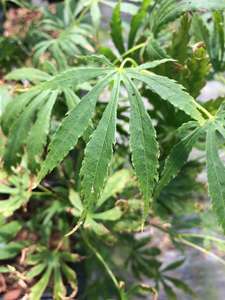 An amazing Maple with the great foliage that emerges bright red and then turns fresh yellow-green as it matures. The autumn colour is spectacular orange and red. 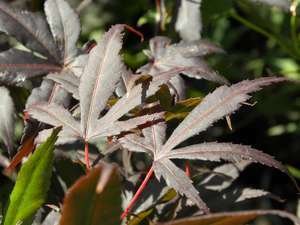 'Moonrise' it is a relatively compact Acer that can be planted in every garden. A perfect focal point in a small garden. Can be used to brighten up a partially shaded border. 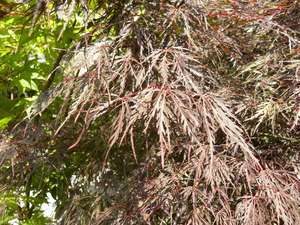 'Moonrise' is more resistant to leaf scorch than other acers. 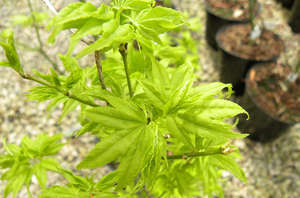 Like all Maples Acer shirasawanum 'Moonrise' doesn't require any pruning routine. Remove any dead or damaged branches. The best time to prune is the late autumn or winter when the plant is fully dormant.